New Realease & Bestselling Tween Girl Winter Clothing Now On Sale! 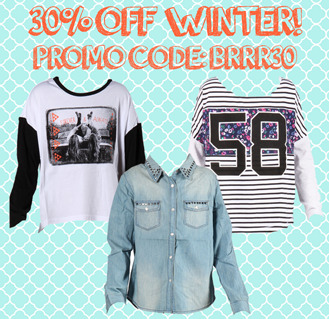 30% off all Tween Girl's Winter Styles - Includes New Releases and Hottest Bestsellers! 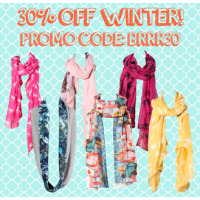 Wannabe Me specialises in bringing the latest clothing, accessories and room décor to tween girls. Stocking Australian and International designers from Paper Wings, Eve’s Sister, Mini & Maximus, Wildfox Kids, The Lost Girls, Escargot, Soft Gallery, Chaser and many more! 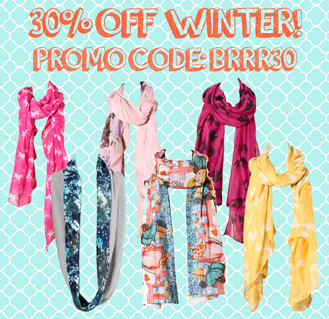 Promo Code: BRRR30 to get 30% off all WINTER!